Understanding everything about Medicare, from when you should enroll to what Medicare covers – and doesn’t, to what you will pay and how to lower your costs, just became a whole lot easier for people with COPD and their families, caregivers, and health professionals. The COPD Foundation is pleased to be working with the Medicare Rights Center, the largest and most reliable independent source of Medicare Information and assistance in the United States, to promote its newest tool, Medicare Interactive. 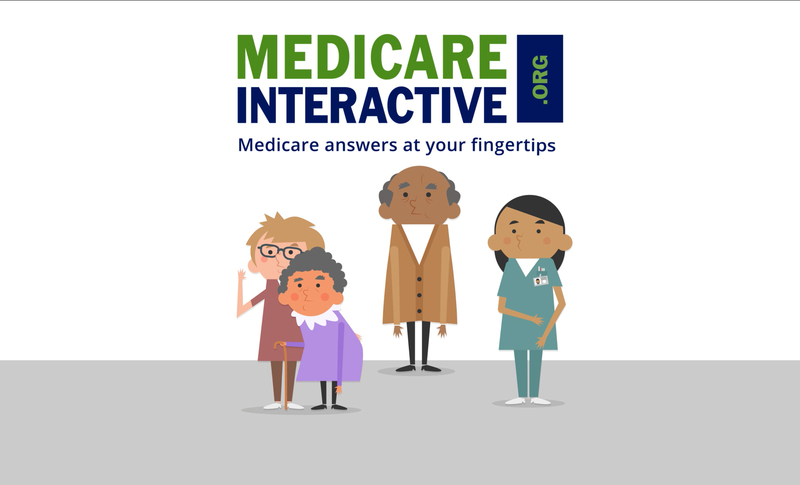 Medicare Interactive is a free online resource packed with hundreds of answers to Medicare questions to help you navigate the complexities of Medicare coverage. The site’s new design and features ensure that its users can quickly find the Medicare answers they need through smart links to relevant Medicare Interactive pages and case examples, a roll-over glossary, and other helpful resources. You can create a free profile to bookmark your favorite pages, manage Medicare Right’s newsletter subscriptions, access free exclusive links/downloads, and receive notices about key Medicare dates. As an initial thank you for registering, you will receive a welcome e-packet from the Medicare Rights Center, complete with the exclusive New to Medicare Guide. To find answers to your Medicare questions, Medicare Interactive hosts an array of topics such as Introduction to Medicare, Medicare Covered Services, Filling Gaps in Medicare, and Programs for People with Low Incomes. Or, simply type in your question in the site’s Search bar. Medicare Interactive explains, for example, the rules on how Medicare pays for oxygen equipment and supplies, repairs, and maintenance. You will also find information on the competitive bidding demonstration program for “durable medical equipment,” like oxygen, and how this program may – or may not – affect you. Medicare Interactive also offers help on how to keep costs down if you are not affected by the demonstration, or, need nebulizer equipment and supplies, which are excluded from the competitive bidding program. If you have been denied Medicare coverage for a health service or item and want the coverage decision to be reconsidered, Medicare Interactive provides information on how to appeal. Whether you have Original Medicare, are enrolled in a Medicare Advantage plan, or have been denied a prescription drug through Medicare Part D, Medicare Interactive outlines the steps to appeal an unfavorable coverage decision. To dig deeper into Medicare, you can subscribe to MI Pro. Subscribers can access exclusive in-depth Medicare content, quizzes to test their progress, and printable learning tools. You can keep track of where you left off within each course, and complete coursework at your own pace. You can find out which courses are right for you by taking the free self-assessment. Medicare Interactive provided over 2 million answers to Medicare questions last year alone. The Medicare Rights Center, which works to ensure access to affordable health care for older adults and people with disabilities, is excited to be teaming up with the COPD Foundation to bring Medicare Interactive direct to the COPD community.